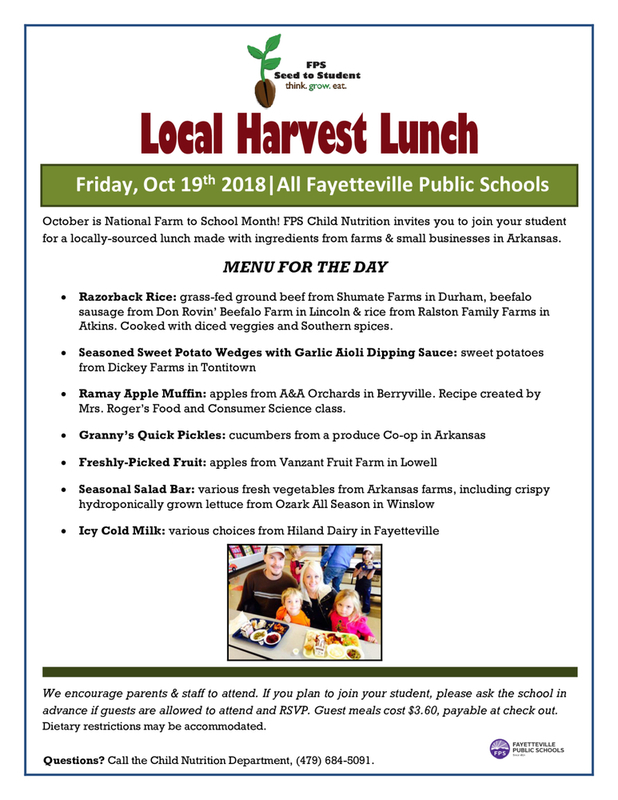 Local Harvest Lunch Friday, October 19th! October is National Farm to School Month! Come and enjoy a local harvest lunch with your child. Please call the office before Friday to reserve your plate!